This is 4rd volume of our new and unique deal format 5in1. 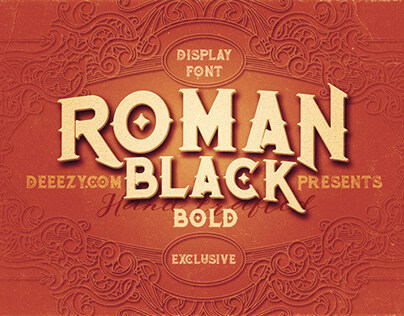 Highest quality & top sellers custom font families in one mega bundle! 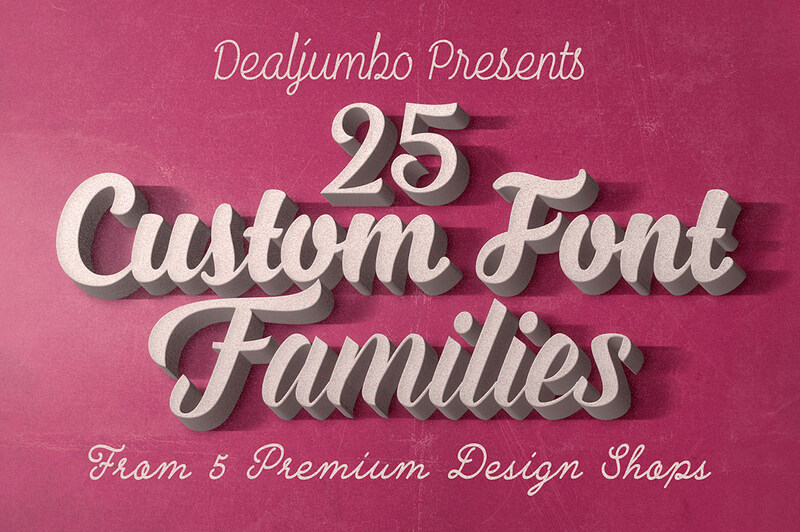 If you are looking to beef up your custom font library, this Jumbo Deal is just for you! With almost 93% off and available for limited time only, you’ll need to grab this new 5in1 mega bundle while you can. 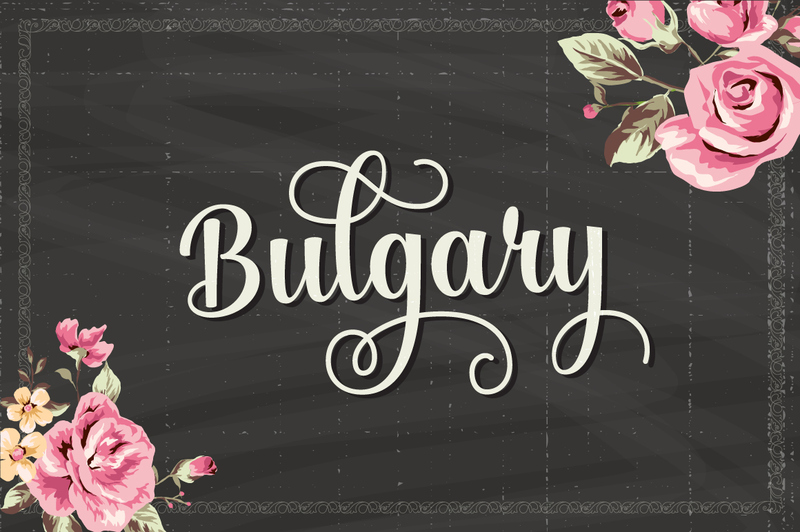 Bulgary is a surreal script that combined brush lettering with traditional hand writing. It is multipurpose and flexible, make it easy to match with another typefaces to create some beautiful project such as wedding invitation, vintage design, greeting card, poster, book cover, illustration, etc. Bulgary script comes with 289 glyphs in total and more than 100 alternate characters which you can mix and match to fit your design. It was divided into a several OpenType feature such as Ligature, Contextual Alternates, Stylistic Alternates, and Stylistic Sets. To Access all alternate characters, you can use OpenType savvy program such as Adobe Illustrator or Adobe InDesign. 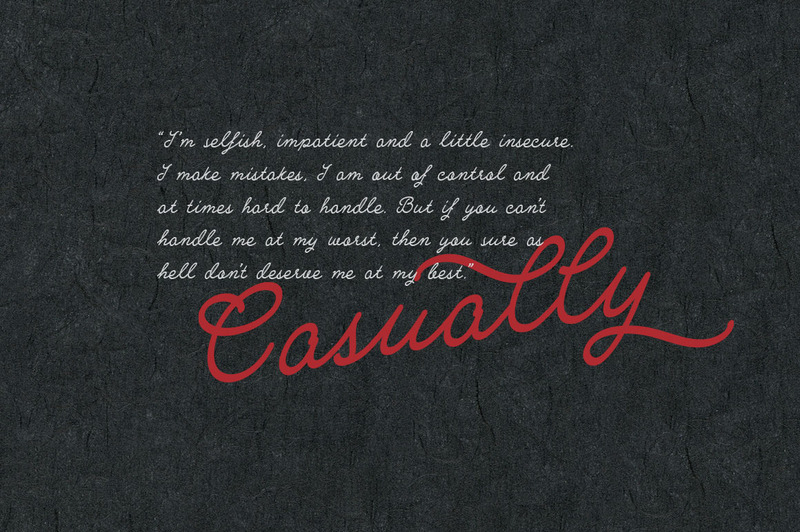 Casually is a fun and flowing handwriting script that giving the feel of natural writing and hand-made. You can use it to make an impression in a variety of designs such as invitations, greeting cards, logos, headlines, t-shirts, etc. 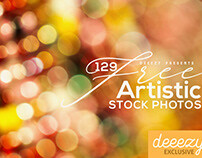 Casually contains 122 beautiful alternative characters which can be combined to fit your design. The alternate characters divided into several OpenType feature such as Ligature, Stylistic Alternates, Contextual Alternates, and Stylistic Set. 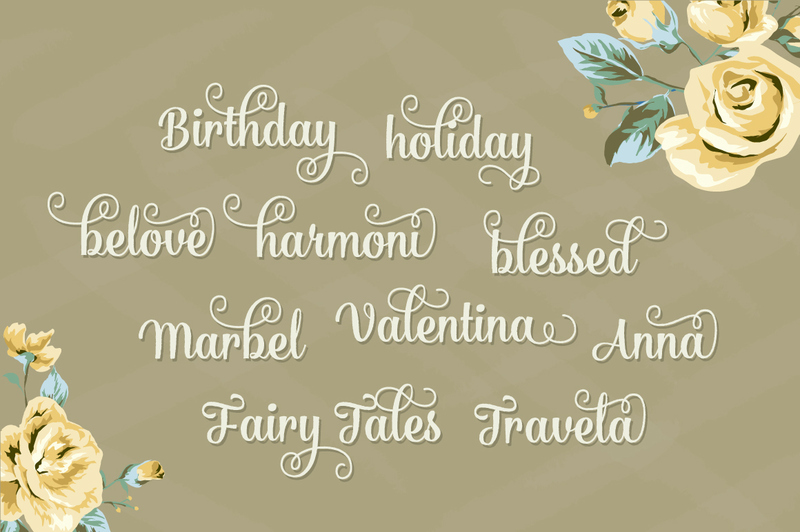 You can access all the characters by using OpenType savvy program such as Adobe Illustrator and Adobe InDesign. Heyzilla is a multipurpose script font that suitable for any kind of project. It contains 379 glyphs in total and 187 alternate characters that divided into several OpenType features such as Ligature, Contextual alternates, swash, stylistic sets and stylistic alternates that allows you to mix and match pairs of letters to fit your design. You can access all those alternate characters by using OpenType savvy programs such as Adobe Illustrator and Adobe InDesign. Heyzilla available in 4 different style in both .OTF and .TTF format. Nabila is bold, playful, modern, and multi-purpose typeface that combines brush lettering with natural handwriting. It is suitable for logo, packaging, headline, poster, t-shirt, etc. 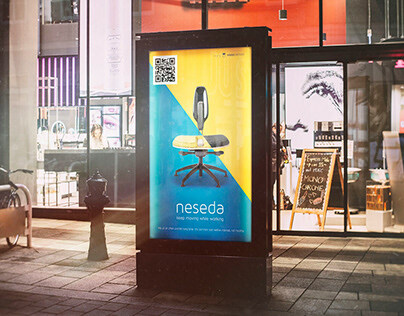 With 350 glyphs and 155 alternatives characters, you can mix and match Nabila to fit your design. The alternative characters divided into several OpenType features such as Ligature, Contextual alternates, stylistic alternates, stylistic sets, and swash. It can be accessed by using OpenType savvy program such as Adobe Illustrator and Adobe InDesign. Aaron Script is highly legible Script typeface, a simply beautiful, classic, elegant and fun script font. With almost 400 glyphs and and 190 alternative characters, contain with opentype features. 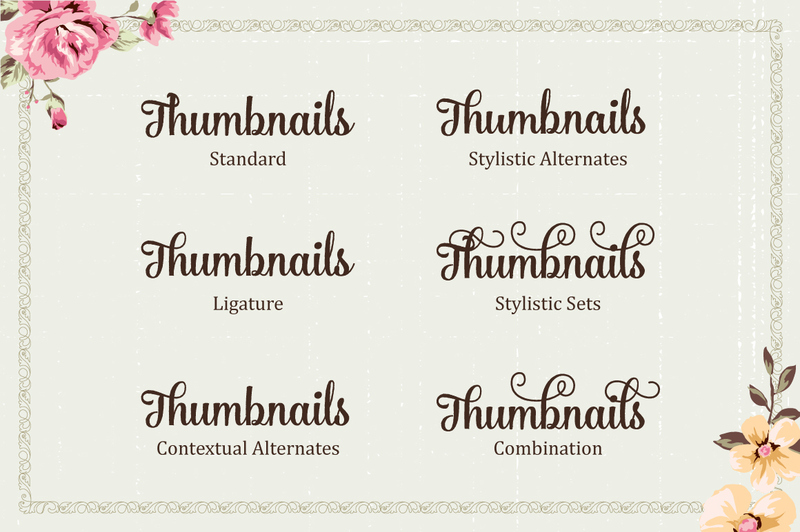 Stylistic alternates, Ornament, swash and more. can be used for various purposes.such as logos, wedding invitation, t-shirt, letterhead, signage, news, posters, badges etc. To enable the OpenType Stylistic alternates, you need a program that supports OpenType features such as Adobe Illustrator CS, Adobe Indesign & CorelDraw X6-X7. 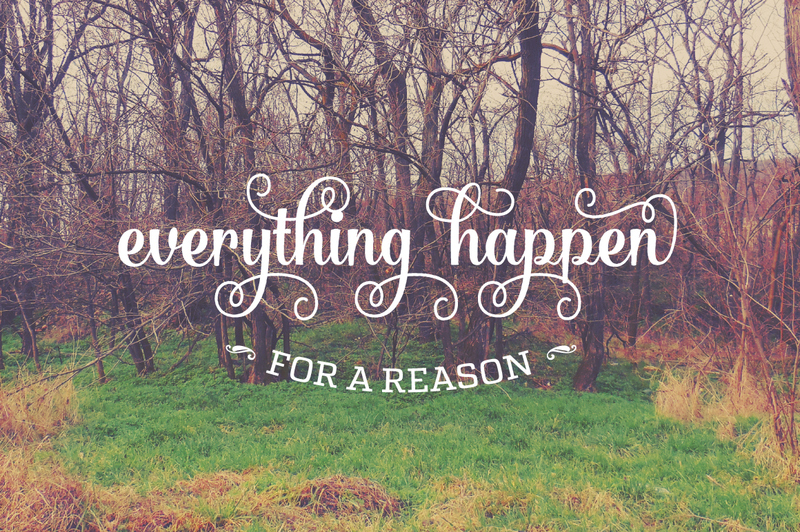 Everglow is a Script Retro font. a bold, classic,and fun vintage script. With almost 560 glyphs and and 322 alternative characters, contain with opentype features. Stylistic alternates, Ornament, swash and more. Can be used for various purposes.such as logos, wedding invitation, t-shirt, letterhead, signage, news, posters, badges etc. To enable the OpenType Stylistic alternates, you need a program that supports OpenType features such as Adobe Illustrator CS, Adobe Indesign & CorelDraw X6-X7. Shepia is a Monoline Cursive Handwriting. classic and fun vintage script. With almost 390 glyphs and 188 alternative characters, contain with opentype features. 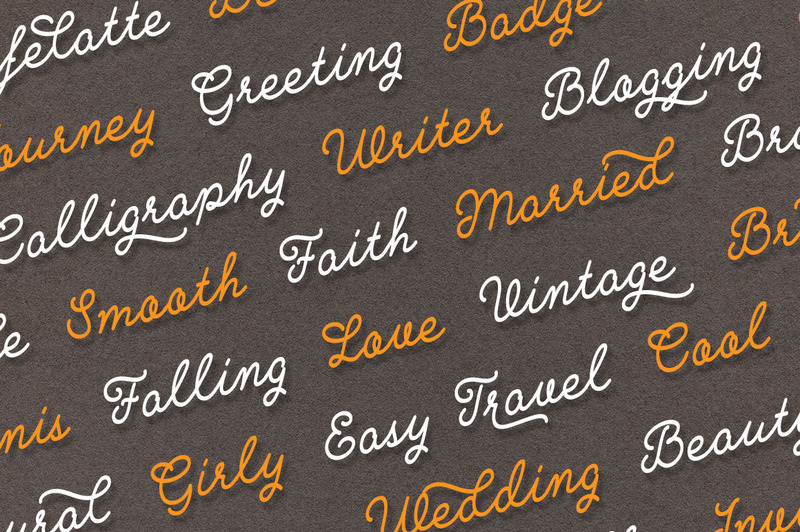 Stylistic alternates, Ornament, swash and more. Can be used for various purposes.such as logos, wedding invitation, t-shirt, letterhead, signage, labels, news, posters, badges etc. To enable the OpenType Stylistic alternates, you need a program that supports OpenType features such as Adobe Illustrator CS, Adobe Indesign & CorelDraw X6-X7. 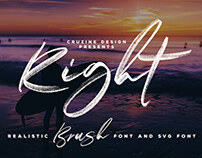 Shintia Script is highly legible Script typeface, Get touch of a bold, classic and fun Vintage Script font. With almost 215 glyphs and contain with opentype features. 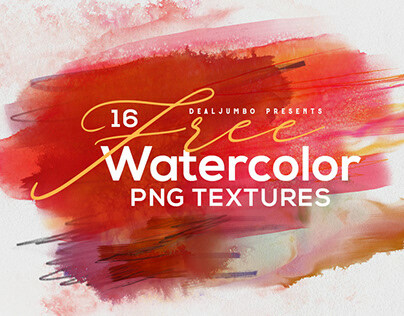 Stylistic alternates, swash and more. 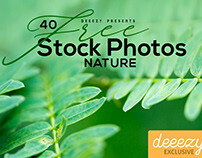 Can be used for various purposes such as posters, t-shirt, signage, logos, news, badges etc. To enable the OpenType Stylistic alternatives intelligent programs or manually select a character from the Glyph Palette. Armament is a handwriting-traced serif typeface that carefully crafted from the sketch. The narrow, (kinda) rough and jaggy lines gives you the vintage yet macho feel. 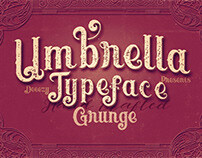 This typeface is a great addition to fulfil your need for a quality vintage themed font. Packed with some OpenType Alternate Characters (OTF only) to let you play and explore more letter variations. Suits best for almost all vintage themed design, bombastic quotes writing and yada yada. Black Velvet 2 is a new version of our previous best seller Black Velvet. This new version have a higher caps and x-height, curlier curves, simplified ornament, better details and readability. 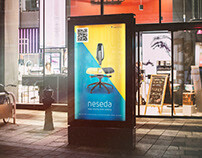 Mousecrafted with high attention to crisp lines, nodes and details. 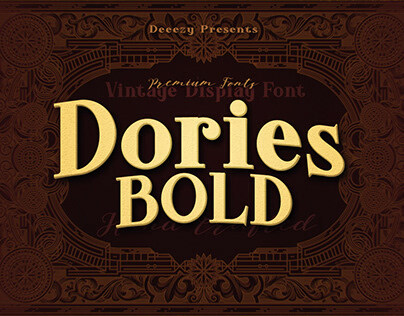 If you’re into classic / vintage design theme, this font will be a great addition to your arsenal. Available in .OTF and .TTF formats. Packed with uppercase, lowercase, numerals, punctuations, some latin characters and alternative characters (OTF only). Dublin is a typeface that inspired from old and vintage road-sign letters in England / Great Britain. 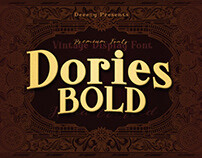 Suits best for vintage / classic designs, logo, signage, headline, etc. 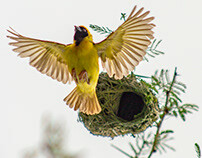 Available in two versions; Regular and Spurs. Each files contains: uppercase, lowercase, numerals, basic punctuations and some alternate characters. Stump is a font family of 4 faces Outstanding vintage written style will perfectly fit for headlines of all sizes, print graphics, logos, badges, t-shirts and other designs. Athena vintage font is a hand made font family of 3 faces Outstanding hand written style will perfectly fit for headlines of all sizes, print graphics, logos, badges, t-shirts and other designs. Cool handdrawn custom font. With original style! Cool handdrawn style custom font! Icecube font is a hand made font Outstanding hand written style will perfectly fit for headlines of all sizes, print graphics, logos, badges, t-shirts and other designs. So brush is one of the best handpainted typeface you will need ,it comes with tow. Outstanding brush written style will perfectly fit for headlines of all sizes, print graphics, logos, badges, t-shirts and other designs. Bear & Loupe is a font family of 2 faces absolutely Outstanding hand written style will perfectly fit for headlines of all sizes, print graphics, logos, badges, t-shirts and other designs. Rinoshare is a font family of 7 faces exclusive in creativemarket Outstanding font styles will perfectly fit for headlines of all sizes, print graphics, logos, badges, t-shirts site web and other designs. Monday is a surreal script that combined brush lettering with traditional hand writing. 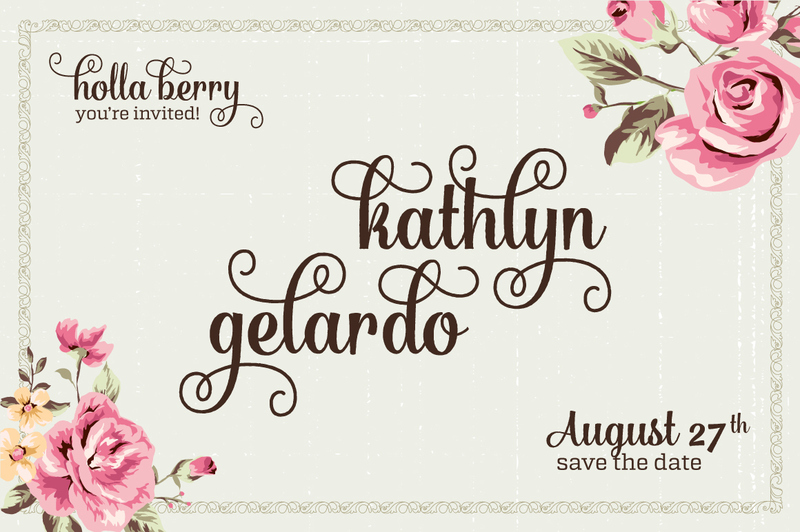 It is multipurpose and flexible, make it easy to match with another typefaces to create some beautiful project such as wedding invitation, vintage design, greeting card, poster, book cover, illustration, etc. OpenType feature such as Ligature, Contextual Alternates, Stylistic Alternates, and Swash. To Access all alternate characters, you can use OpenType savvy program such as Adobe Illustrator or Adobe InDesign. Bringin is informal script lettering font with a bunch of alternative characters to choose. Bringin uses OpenType feature such as swash, ligature and alternates that can be found by using OpenType savvy program such as Adobe Illustrator and Adobe InDesign. Bringin is bouncy and smooth and has a very feel. You have a lot of options to customize it and that makes it perfect for logos, packages and titles. Hardline is a condensed display typeface. It’s strong appearance will be useful when creating commanding titles and headlines that demand attention. Hardline is a slightly condensed face, but has the thickness to provide all the stability you need. Hardline come in 26 standard characters, numbers 0-9, and several essential glyphs. Transmetal is a condensed display typeface is inspired by industrial logo-types, and makes for a powerful headline font. It’s strong appearance will be useful when creating commanding titles and headlines that demand attention. The special encounter between uppercase letters and lowercase letters is perfect with 2 variations style. Transmetal is a slightly condensed face, but has the thickness to provide all the stability you need. It includes all common glyphs including lower and uppercase characters, numbers and symbols. The download package includes the 2 styles of Transmetal (Regular and Inline). 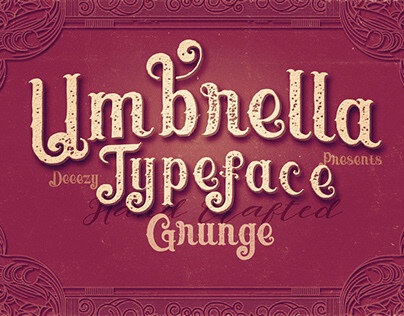 Purbacala Typeface is a very decorative ornate typeface with a hand drawn feel. The special encounter between uppercase letters and lowercase letters is perfect with 3 variations style . 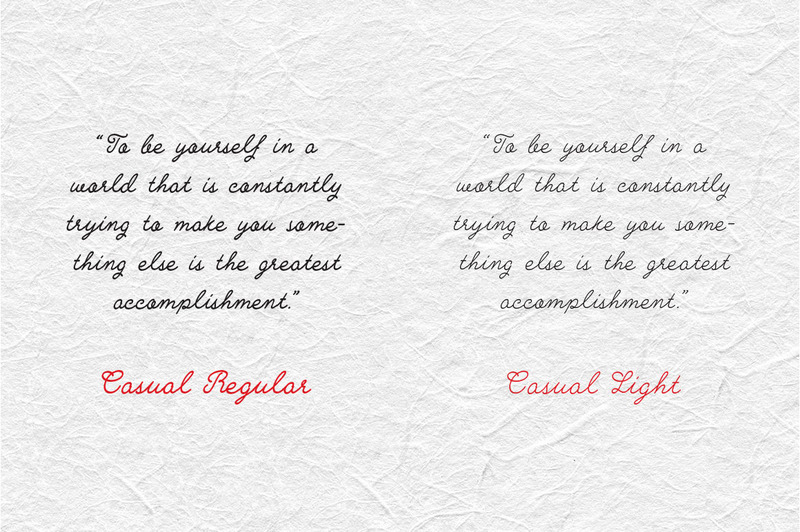 Purbacala Typeface is the perfect font for creating a tactile feel with a hand drawn appearance. It’s recommended usage is for display titles, web, save the dates, and other design projects that need a homemade touch because of its good legibility and quality of glyphs.